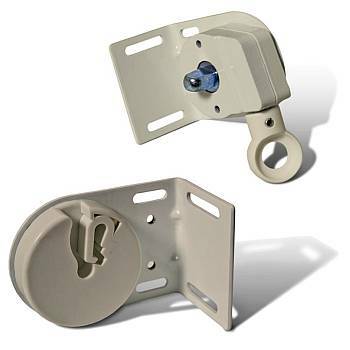 This hardware mounting kit is designed to mount up most of Coolaroo's exterior solar shades. Specifically designed for their Outback, Select, Premier, Designer and their Custom solar shade models. They are direct replacements for their cordless sun shades and can be used to covert older corded Coolaroo solar shades designs to their new crank / cordless. Crank / Cordless operation requires a wand in order to operate this style solar shade. It is available in 2, 4, 6 or 8ft lengths as an option.